What Happens to a Foreclosure Property If No One Bids on It? Can Anyone Show Up at a Foreclosure Auction to Bid? Foreclosure sales are subject to the same economic woes that cause homeowners to default on their mortgages in the first place. A successful foreclosure auction for lenders requires that potential buyers attend and that the winning bidder has the available funds to make good on his offer. In a tight economy, this doesn't always happen, particularly because lenders aren't likely to let their properties go for a song. 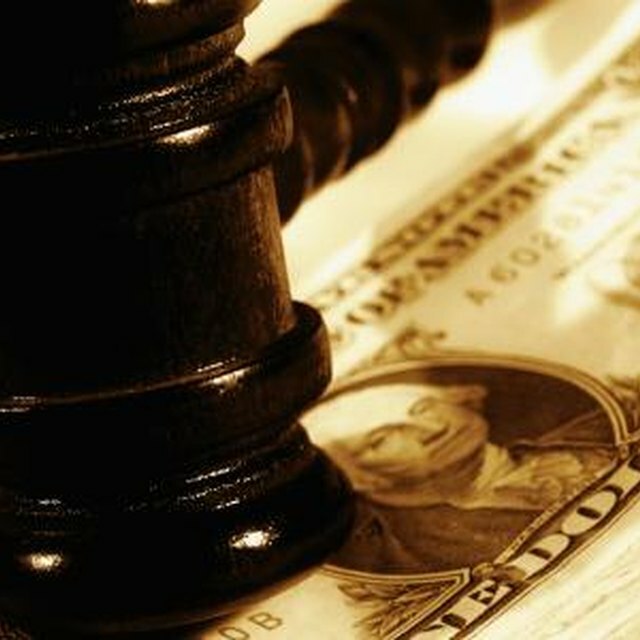 When an auction is unsuccessful, lenders retain ownership of their properties. Mortgage lenders almost invariably attend their own foreclosure auctions, sending a representative to bid on their behalf. If a property has an outstanding mortgage due of $175,000, the lender's representative will probably bid the sales price up to this point. This ensures that if the representative is outbid – such as if someone swoops in and offers $176,000 to buy the house – the lender is assured of at least recapturing the money owed on the original mortgage. If no one outbids the representative, or if no one else bids at all, the lender keeps the property. It does not have to pay the amount of its own bid; it usually receives a "credit" with the court equal to the outstanding mortgage balance. After a failed auction, the lender lists the property for sale with its own real estate agent or with a local agent. It doesn't want the home; it wants its money, and the only way that's going to happen is if someone eventually buys the house. The listing should be tagged in the Multiple Listing Service as an "REO" property or a "bank-owned" property. Both terms mean the same thing. The mortgage lender is the legal owner of the property now because the foreclosure process completed with the attempted auction. For a prospective homebuyer, there's not much difference between purchasing a bank-owned property and one still held by the owner, at least procedurally. You're still dealing with the seller's real estate agent. The asking price will probably be close to the home's fair market value, but the lender is still going to want to cover the outstanding loan to the greatest extent possible. The property may not be in the best condition, and the lender probably isn't going to be willing to make repairs or negotiate the cost of repairing a leaky roof. You take the home "as-is" if your offer is accepted, so it's usually wise to have a home inspection done first, or at least be sure that you've got ample funds to fix any structural surprises you discover after you've purchased the home. If you buy a bank-owned property and the lender transfers ownership to you with a warranty deed, you can be reasonably sure that a title search has been completed and there are no hidden encumbrances against the property. If ownership transfers with a special warranty deed, however, you might have a problem – this type of conveyance only promises that any liens directly associated with the seller have been removed. You might want to have a title search of your own done before you make an offer on the property, just to be absolutely sure you're not inheriting any of the previous owner's other debts. Foreclosure sales usually don't include a disclosure statement, which is a certification by the seller regarding any known problems with the dwelling that might affect its value or desirability. In the case of an REO home, the seller is the bank and presumably never lived in the home, so it can't be expected to have knowledge of its problems.